90% of patients who die of cancer die as a result of their cancer spreading throughout their body. This process is known as metastasis and is possibly the most intricate and less well-understood step in cancer progression. During metastasis, cancer cells come off the core block of the tumor and start crawling through the neighboring tissue. In doing so, they eventually run into the blood vessels that are feeding the tissue itself – capillaries, veins and arteries which are carrying blood all over the body. At this stage, through a miraculously complex mechanism these cancer cells find a way to squeeze themselves into the vessel. This is a process known as intravasation – literally “going into a vessel”. A cancer cell inside a blood vessel is very much like a boat going downstream in a river. The flow of the blood will carry the cancer cells all over the body – without the cell itself having to do very much at all. Eventually, just as boats choose to moor at a favorable harbor cancer cells find a way to stop and crawl out of the blood vessels. This process is known as extravasation – literally “getting out of cells”. The whole procedure is interestingly very similar to what immune cells go through – they are in the blood flow and exit it in order to target infection throughout the body. When the infection is under control, they re-enter the bloodstream to keep patrolling the organism for upcoming signs of disease. As a consequence, a lot of the research that is currently taking place about these steps in cancer is comparing what cancer and immune cells do to get in and out of blood vessels – ultimately hoping to identify ways in which we can block this process. One of the natural questions to arise from observing this mechanism is how cells decide where to “moor”. One of the most exciting ideas in the field at the moment is about how cancer cells can detect invisible chemical signals produced by different tissues in the body and use them to moor in favorable locations. This would explain why certain types of cancer have a predilection for spreading to specific organs. For example, breast cancer is often known to get into the bone, while skin cancer cells can often be found in the lung. 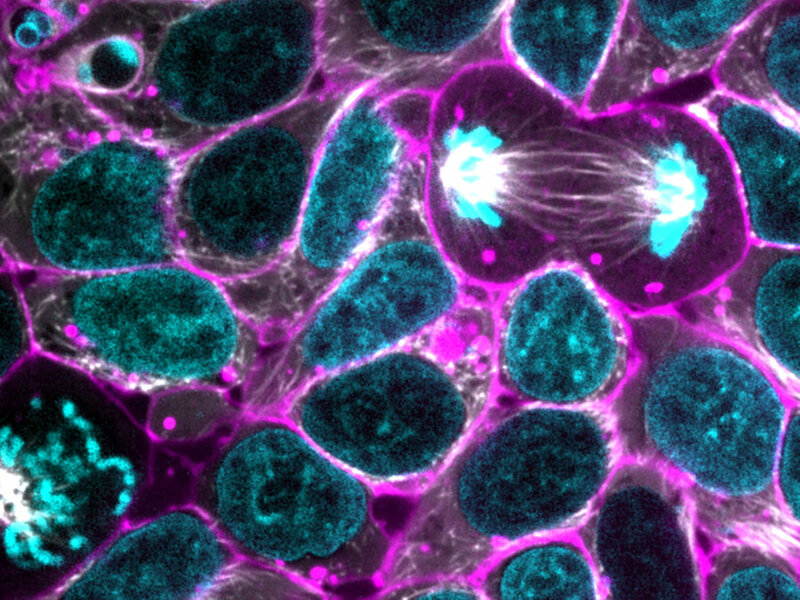 However they might have decided to home in at their new location, cancer cells then start multiplying again – forming secondary tumors or metastases.The key skill cancer cells need to learn in order to metastasize is the ability to move.While some cells in the healthy human body do move around – like immune cells and blood cells – the vast majority is wired to remain still. 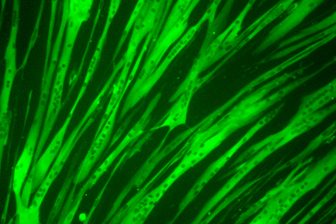 Cancer cells need to learn to move by stretching their tiny bodies through the fibers of tissue that surround them. Understanding how this works is a key aspect of cancer cell biology: the idea of stopping cancer cell motility is incredibly appealing as a strategy to develop new anti-metastasis drugs. Cell motility is a very complex process which involves thousands of molecules interacting in hundreds of configurations. This makes the process of unraveling the mechanics of how cells move a very challenging line of work – nevertheless, some great progress has been made over the last decade the results of which are beginning to improve the lives of patients thrughout the world. This post belongs to the Understanding Cancer series. Please check out the original post here and the rest of the series here.